Ten has announced a slate of new local and international programs coming to the network in 2018. Set in a romantic tropical overseas destination overseas, this new event series hosted by Osher Günsberg features former fan favourites and stand-out characters from previous seasons of The Bachelor Australia and The Bachelorette Australia – including Keira McGuire, Laurina Fleure, Tara Pavlovic, Apollo Jackson, Michael Turnbull and Davey Lloyd – returning for another chance at romance and love. Bachelor In Paradise is produced by Warner Bros International Television Production Australia. Blind Date will feature Julia Morris at the helm, with would-be suiters searching for their ideal partners. Each week, one single person will ask three hidden potential suiters three questions to determine which person is very right, or horribly wrong, for them. Expect sparks to fly and love to blossom, as Australia’s singles use sharp conversation and witty banter to find the right date for them. Blind Date is produced by Playmaker. Sixteen years since he first set fire to a national park, Australia’s most accident-prone outdoorsman is pulling on the khaki shorts once again. According to Russell it was always a question of timing. “I’ve got some free time now that my croc park has been closed, Ten made a decent offer and the court order banning me from coming within 10 metres of a marsupial has finally been lifted. 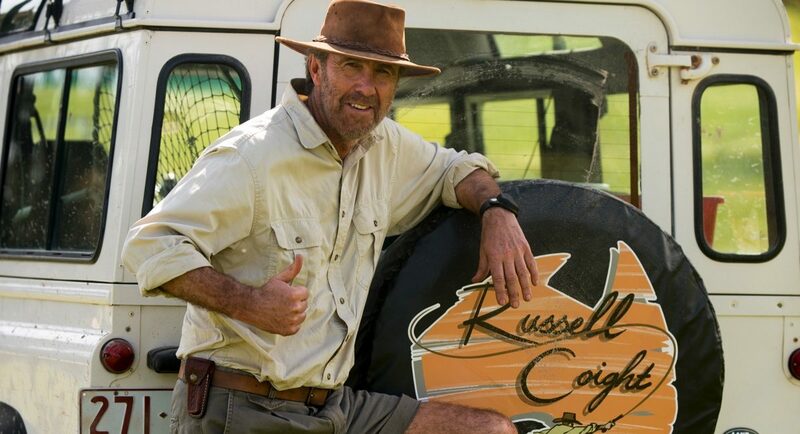 So strap yourself in for another sun-drenched series of outback adventures – All Aussie style.” Russell Coight’s All Aussie Adventures is produced by Working Dog Productions. Dave Hughes’ brand new show Hughesy, We Have a Problem brings together the biggest names in comedy and entertainment for a truly noble cause: to help the people of Australia get over life’s infuriating problems. Hughesy will take the problems experienced by everyday Australians and turn them into working solutions. From how to handle infidelity to solving who gets to hold the television remote, there is no problem too big, small, funny or difficult for Hughesy and his team of comedians to tackle. Hughesy, We Have a Problem is produced by Screentime. The fly-on-the-wall documentary series follows a group of four-year-olds as they meet at pre-school, in the most pivotal year so far in their young lives. Exploring how children make and break friendships, share, stand up for themselves and find their place in a social group, The Secret Life Of Four Year Olds has been embraced by viewers overseas. The Secret Life Of Four Year Olds is produced by Screentime. From the production company behind The Secret Daughter and Underbelly, Playing For Keeps is a new series about the women behind the men we barrack for on the footy field. As the series unfolds there will be affairs, business opportunities, fashion footnotes, faux pas, mounting credit card bills, groupies, harassment, racism, sexism, the ever-present paparazzi and an absurd amount of fun. It’s a world we’ve read about. Now we’re allowed inside. Playing For Keeps is produced by Screentime. Starring Pete Helliar and Lisa McCune, How To Stay Married goes behind the closed doors of a two-point four family who are stuck in a rut. Greg (Helliar) and Em (McCune) have been married for 12 years, but their relationship is lacking any spark. Life gets complicated when Em goes back to work for the first time since the kids were born, just as Greg is made redundant. The situation complicates further when Greg’s man-child brother, Brad, moves in. How To Stay Married is a Princess Pictures and Pablo Pictures co-production which has received major production funding from Screen Australia.